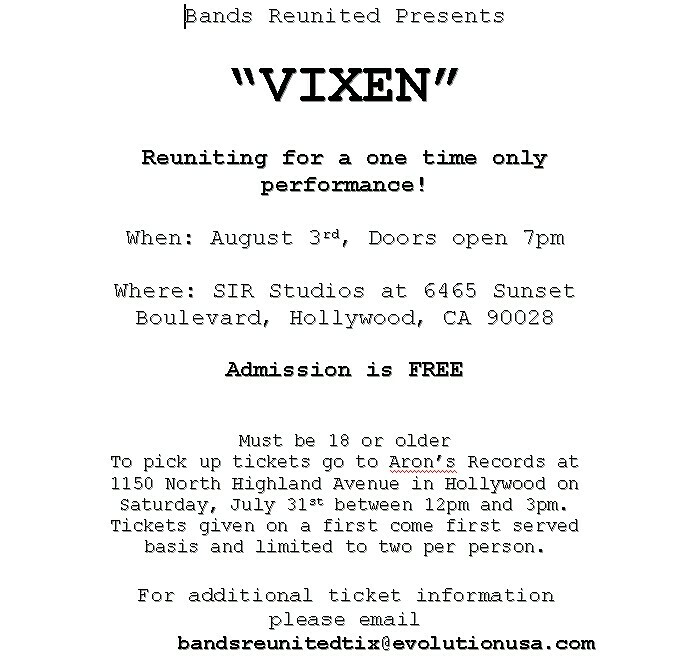 Vixen will be playing a reunion show for VH-1's Bands Reunited. August 3rd, doors open at 7, showtime at 8! This will be with all members from the classic line up. If you'd like to go and are not able to pick up tickets at Aron's Records on Saturday email bandsreunitedtix@evolutionusa.com with a request.